A Fort William sailing club on Loch Linnhe, in the Outdoor Capital of the UK, just 15 minutes walk from the town centre. Lochaber Yacht Club was established in 1954 and has been very active ever since. If you live in the area and are interested in a new sport, you are welcome to come down to the Clubhouse on Thursday evenings to see around and look at some of our boats. We are a friendly club and welcome new members at any time of year. Current membership is about 120 which includes individual, student and family memberships and a few country members. The clubhouse is located on Achintore Road on the way into Fort William from the south. We welcome new members all the time and you are invited to come down on a Thursday evening to find out more about sailing on Loch Linnhe – or send an email to our Secretary. We have a large selection of dinghies which you can find out about from other pages on the site, and a small fleet of keelboats, including Solings, which are former Olympic boats. We are also a recognised RYA teaching establishment and organise sailing courses each year for anyone to join. If you’d like to find out more about sailing, you are welcome to come down on Club Nights after 7pm to watch sailing and to see what’s involved. 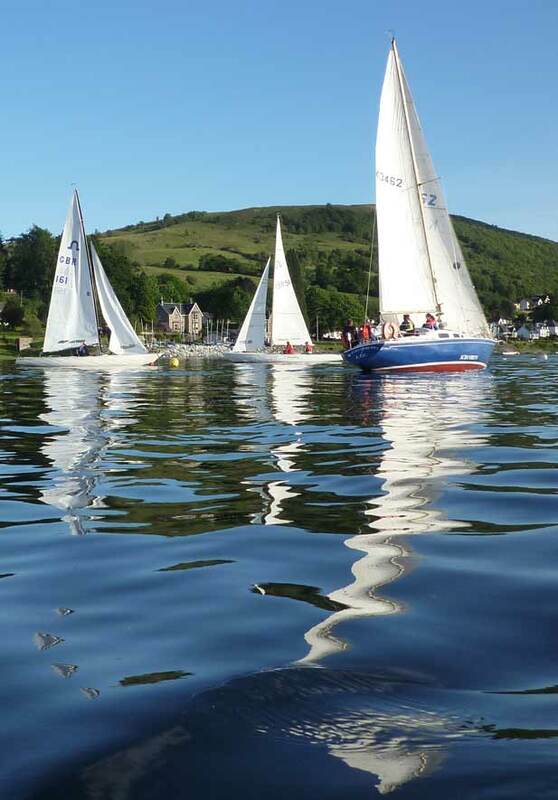 Lochaber Yacht Club has a full sailing programme of race nights, club nights and trophy races. We also have a good social programme of events including our Annual Regatta, and at the beginning of the sailing season, the Fitting Out Supper. Anyone interested in sailing is welcome to come down to the clubhouse when we there something on to take a look around and find out about sailing and joining in. Thursday Club every week from 1000 hrs. All welcome. There are always jobs to do from maintaining the club boats to chopping firewood – you could even try sailing. Sailing in Fort William Scotland is a great sport. We are a Royal Yachting Association (RYA) recognised teaching establishment with a great resource of enthusiastic and experienced sailing coaches and instructors. Club members – please see the Members section for more information, club events, fixtures list, rotas, results etc.